This summer (July 6-14), a group of youth and adults will travel to Andean Equador with FIBUSPAM to assist the local population in need. We'll help to provide medical care, visit indigenous communities, experience native culture and cuisine, explore a near-by active volcano, and enjoy some whitewater rafting. During our stay we'll travel to different locations and lodge in Riobamba, Quito, and Banos where we'll get to experience the evening hot springs. 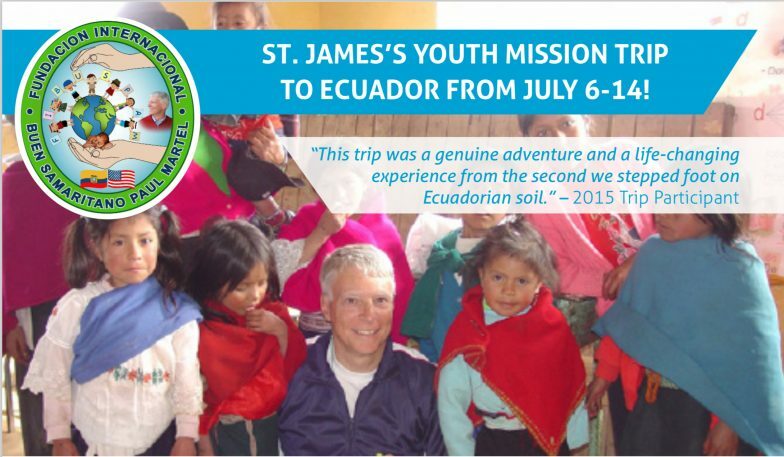 For more information about the trip, and for a program overview, see Mission Trip Flyer below. If you are interested in learning more about this trip, please contact Charlotte LaForest or Bob Hooper.